Trust is a difficult emotion to handle, and that's why so many relationships tend to falter. You see, when commitment, happiness and respect aren't present, disloyal individuals may start to stray. Typically, the other person will start to pick up on the distance and may develop some sort on insecurity; insecurity leads to things like checking their iPhone, but that will only lead to massive arguments. So, what if there was a way to forward iPhone text messages to another phone without them ever knowing? That way you could send conversations to your phone, and view in peace! Although, the way to do it largely depends on whether you can access the iPhone and how many messages you actually want to forward. How to Forward a Single Text Message to Another Phone? 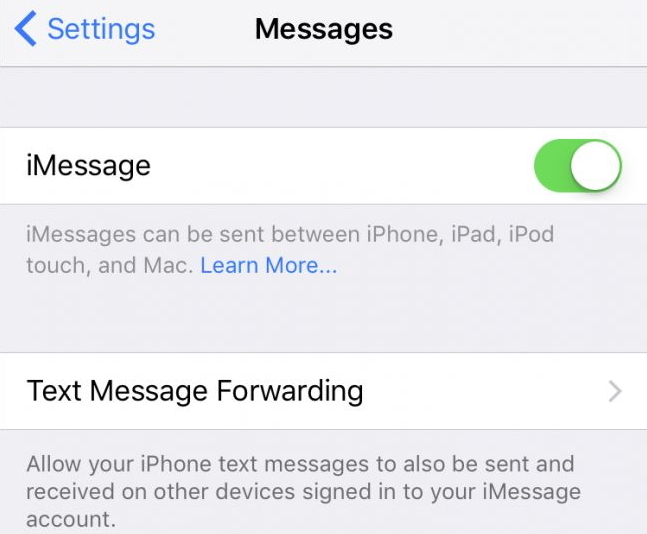 How Can iPhone Automatically Forward Text Messages to Another Phone? 1. How to Forward a Single Text Message to Another Phone? Open up the text message conversation which you want to forward message from. Tap and hold on the specific message you need to forward. You'll have the choice to either select 'Copy' or 'More' – hit 'More'. Make sure there's a blue circle next to the message (you can also select others). Click 'Share' and choose which contact/number you want to forward it to. Once the 'To' section is filled, all you need to do is hit 'Send'. If you want to forward multiple text messages from different conversations in a quick manner, it could be rather tricky because doing it one by one is time consuming. Now, you could always export all text messages from the iPhone to your computer with several clicks, but you may need external software for that, such as iMyFone D-Port Pro. What Can iMyFone D-Port Pro Do? Export not only text messages and iMessage, but also audio messages, photos and videos in conversations. 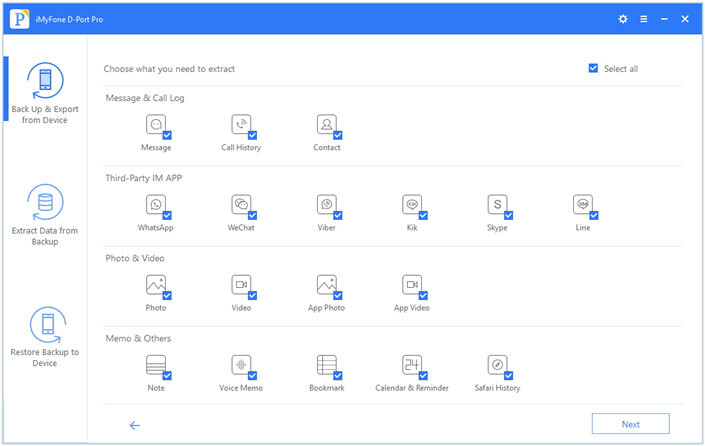 Export not only text messages, but also conversations from 3rd-party SNS apps, such as WhatsApp, Kik, Line, and WeChat. Export messages and other 18+ types of data from previous iTunes or iCloud backups. How to Use iMyFone D-Port Pro to Export Multiple Text Messages? Step 1. Connect your device, enter the application and select 'Back Up & Export from Device' on the left, then click 'Export Data'. Step 2. On this screen, you'll need to select the type of data that you want to export. For instance, if you want to export text messages, check the box next to it. Hit 'Next' and the tool will begin to work its magic. You can also choose multiple types of data to get more information from the iPhone. Step 3. When it's complete, scan through the data and select whatever you want to export by click ‘Export'. 3. Automatically Forward Text Messages to Another iPhone? Go to Settings > Messages > Text Message Forwarding. Once you're in there, just select your iPhone from the device list. 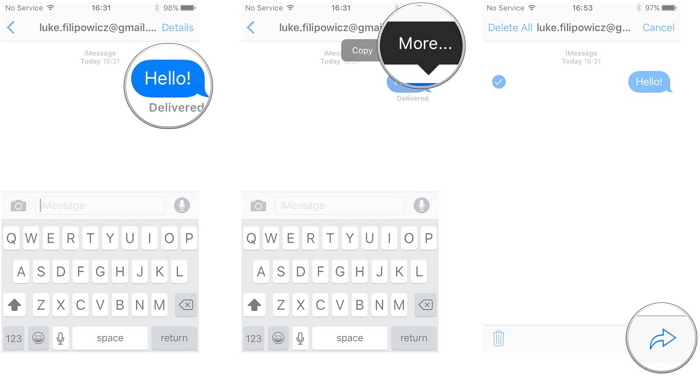 Now you'll be able to send and receive text messages. Unfortunately, you'll need direct access to the iPhone if you want to forward any messages. 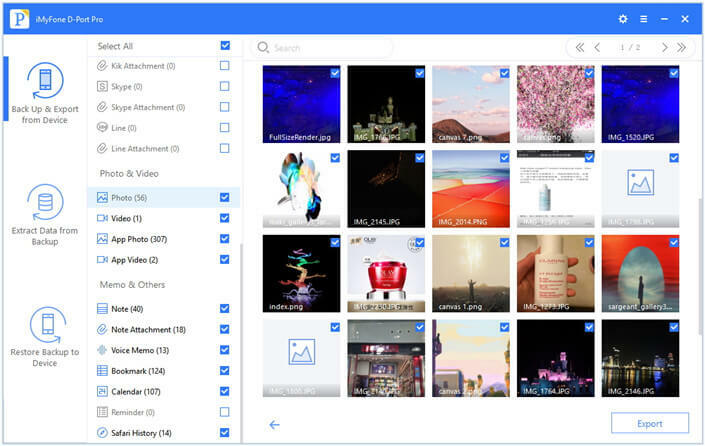 However, if that iPhone has been backed up on a computer that you have access to, the iMyFone D-Port Pro tool can retrieve text messages, and other data from backup. Once an iPhone has connected to a computer, it is possibly synced and backed up on the computer. 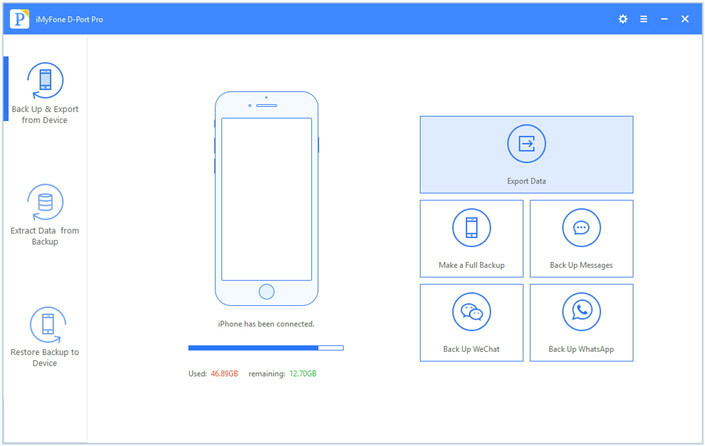 Regarding the iCloud backup, it can be complete provided that the backup function is turned on and the iPhone is charged and screen-locked. So you still can get the text messages from backups for the iPhone, even though you cannot access it. Just follow the guide to learn how to extract text messages from iTunes or iCloud backups if you cannot access the iPhone. Ultimately, there's no easy way to go about forwarding text messages from another iPhone, as you'll most likely need access to it. But, the iMyFone D-Port Pro tool will help massively with your mission! Give its free trial version a shot and see what it can do for you!